Served on a Dark Rye bread, it was soft yet dense, almost spongey. 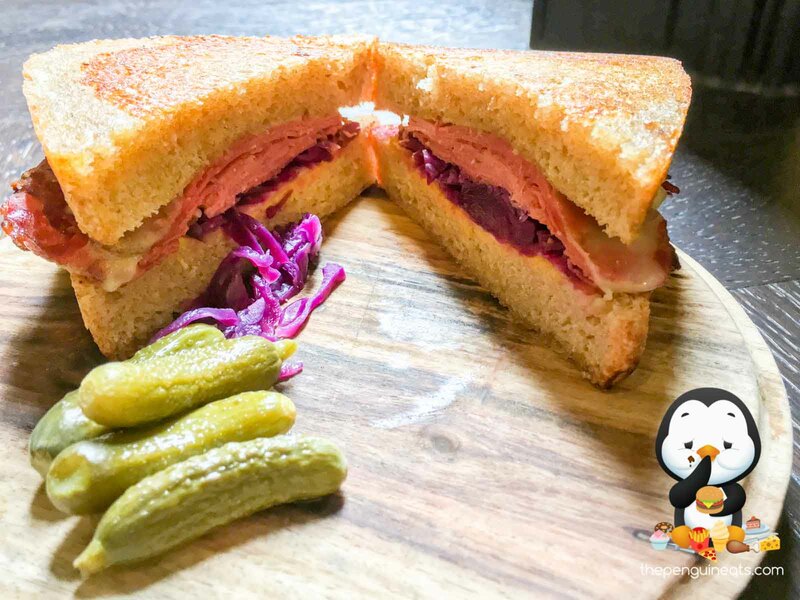 With a lightly toasted exterior providing a slight crispness, within we found layers of tender pastrami. Unfortunately quantity doesn’t translate to quality, and while the beef was suitably tender and soft, it’s flavour were rather muted. The mustard also lacked spice, which was not helped by the unseasoned red cabbage sandwiched between. Portion sizes also leave much to be desired and definitely left penguin wanting for more. The staff were also hilariously clueless about what’s actually in the Reuben. We were defiantly told that there would be no salads or vegetables within the sandwich, and look what we got! I seriously wonder how all of Shannon Bennet’s ventures share a similar calibre of clueless, highbrowed staff. The food was perfectly serviceable though thoroughly unimpressive. With our unspectacular Rueben coming in at $14 without any sides, drinks or a smile, the prices do seem a bit rich across the board. What you do pay for is the prestige associated with the name, but not much else. Unlikely. With Melbourne’s cafe game this strong, I honestly don’t get the appeal if you are looking for a quality feed.